Now Priced $100,000 below the SOLD price of the other 2 end residences with side windows and the only remaining never lived in residence at Orange Club..The model.. a corner end residence next to the pool...Immediate Occupancy..Orange Club, Sarasota's Newest Downtown Community!!! Orange Club! Built by the VANDYK GROUP... with sweeping roof top living views of downtown Sarasota from this end residence!! 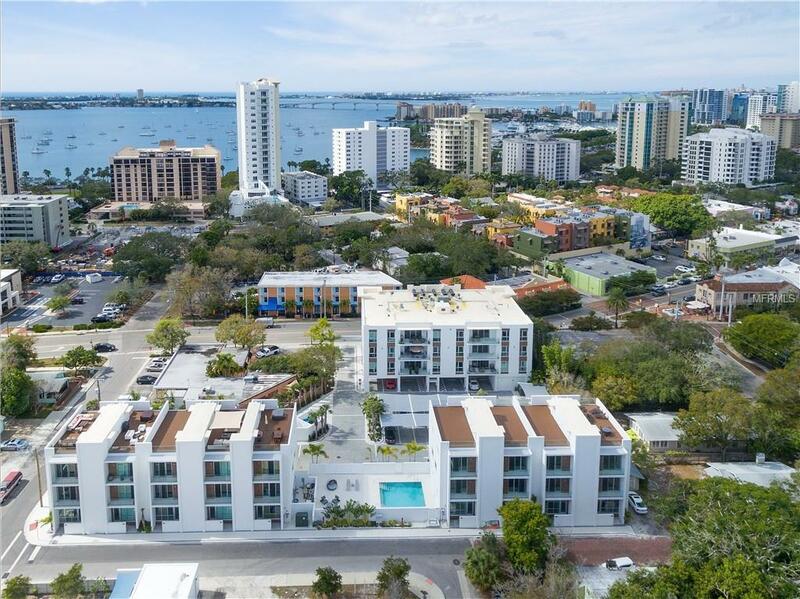 Now offering a new standard of urban luxury.. Orange Club is a boutique enclave of 9 Townhomes and 15 Condominiums in sought-after, historic Burns Square of downtown Sarasota. 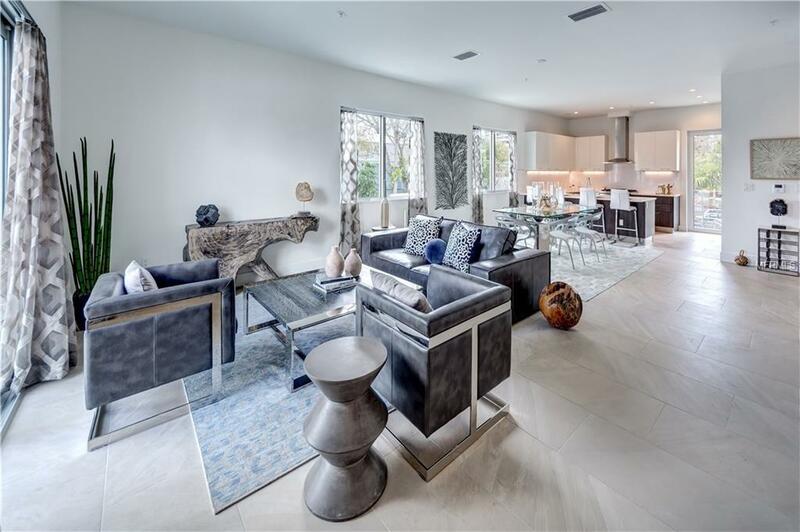 Imagine living a coastal, downtown lifestyle with a private two car attached garage with 3 bedroom suites and 3 and a half baths, private elevator and private 600 Sq Ft. roof top deck with fabulous views of the city skyline! Step into 3 levels w/ 10ft ceilings of indoor living with the 1st floor offering foyer, private elevator and bedroom suite. 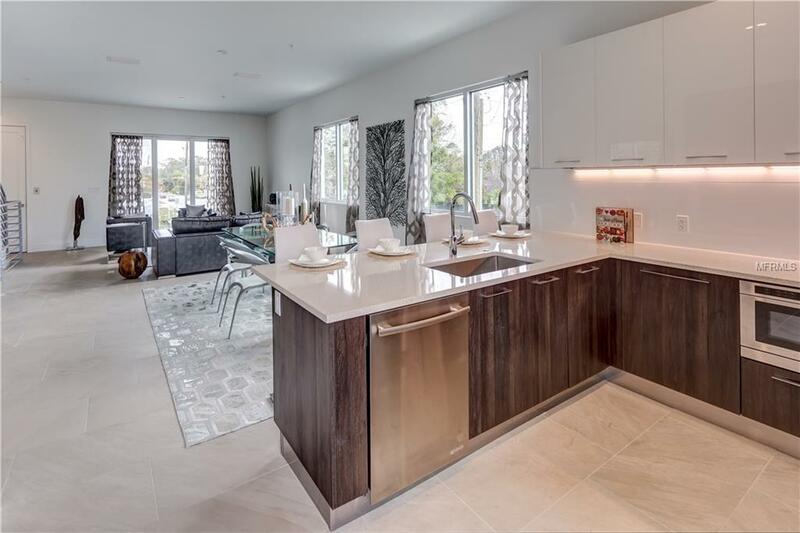 The 2nd level dedicated to a spacious great room with kitchen that features imported contemporary Italian cabinetry, Quartz counter tops, Jenn-Air appliances, contemporary range hood and gourmet gas cooking along with a balcony and a terrace. The 3rd level is reserved for 2 bedrooms that include a spa-inspired Master en-suite and balcony. 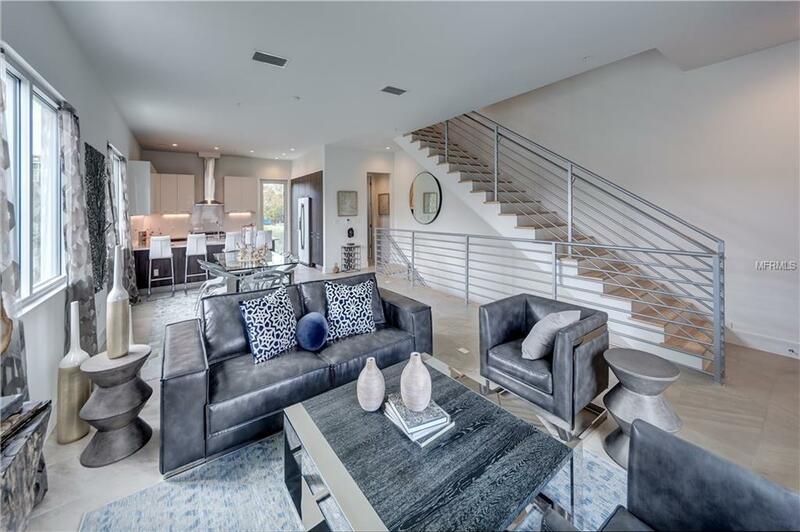 Design features throughout the residence includes contemporary railing on the stair case, plus porcelain tile flooring in common areas. Private elevator accesses all floors including the expanded roof top balcony that completes this residence.